Christian Maurer enjoys the traditional cooling off ceremony, assisted by his dad, Norbet Maurer, and one of his instructors, Bill Gabbard. Saturday, June 13, the weather forecasts indicated possible thunderstorms but none materialized and soaring conditions were not bad. In fact, conditions were just right for Christian Maurer to carry on the family tradition of first glider solo flight at age 14. Christian is the third generation of Maurer’s to fly at CCSC. His grandfather, Otto, started flying gliders as a young boy in Germany in the 1930’s, also helping in their construction. In the 1950’s he was involved with the design and construction of the first composite sailplane the “Hidalgo”. 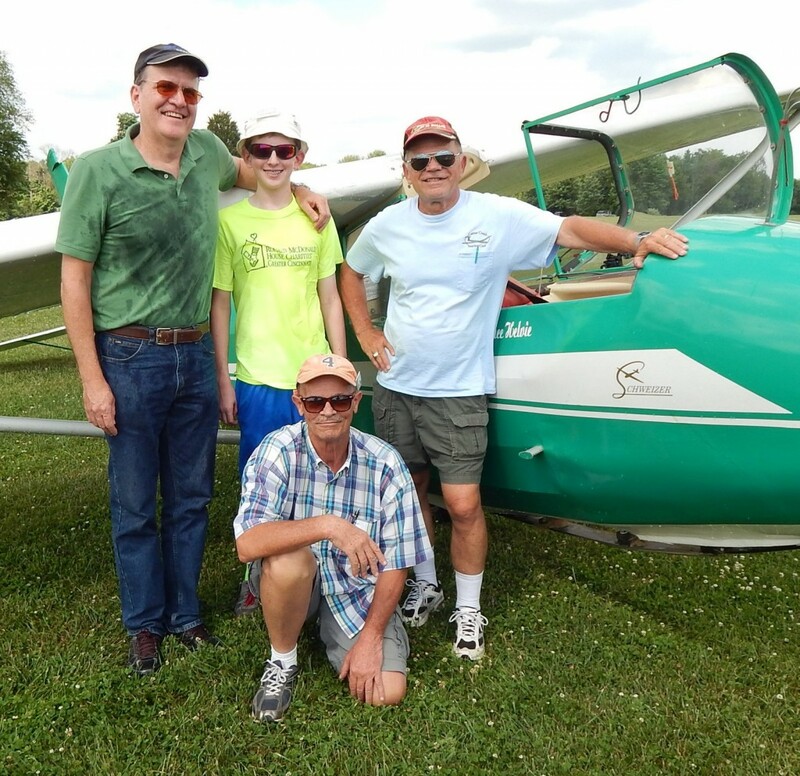 Otto was not involved in flying sailplanes from late 1950’s to 1970’s, but when his son, Manfred, showed interest both joined the The Soaring Society of Dayton (now known as Caesar Creek Soaring Club). Manfred soloed when he was 14 and about 5 years later his younger brother, Norbet, completed his solo, also at age 14. Otto was an instructor at CCSC for many years before he passed away. Manfred and Norb are still active at CCSC, both serving as tow pilots on the First Sunday Crew. Both have served in many leadership positions over the past four decades. 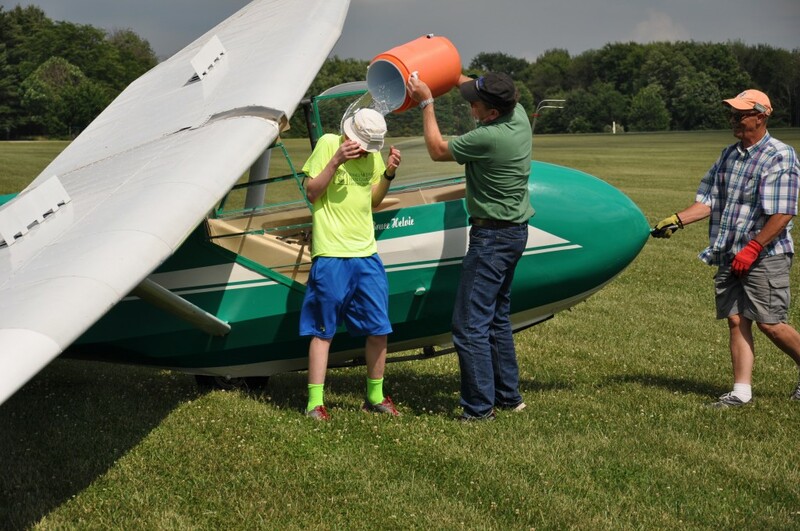 Now Norb’s son, Christian, has continued the tradition, completing his first solo flight only 1 week after turning 14 with Norb flying the tow plane. More than that, Christian flew his solo flight in N36135, the very same aircraft his dad used 35 years earlier when he was 14. Congratulations Christian!